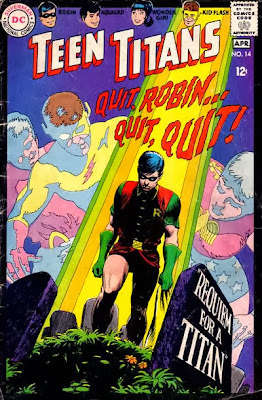 Not since Kirby passing has comics lost an artist like Nick Cardy. Cardy is one of the unsung weapons of the illustration world - not just of comics. His creativity, compositions and camera angles created an art form within an artform, one that stacks up even when placed beside today's works. I once wrote a post outlining why the man deserves more press. I always hoped he'd get more deadlines before this one, the one that waits for us all, but sadly it wasn't to be. Reading Twitter and tributes following like a stream from the likes of Phil Jimenez, George Perez and Francesco Francavilla puts a smile on my face, and a happy spin on the term 'social media'. My scrapbooks literally have pages of composited Nick Cardy artwork. From Nick Cardy: The Artist At War (his sketchbook of drawings done in Europe as a soldier during WWII) to The Teen Titans (and Karl and I were only talking about Donna Troy's Nick Cardy designed unbeaten red outfit the other day) to Aquaman, each work is an inspirational legacy in it's own right, let alone as a collective. The only thing that's changed Nick, your viewing platform is a little higher. Just found out about this myself Dan. Very sad day for comics. As I was telling a firend of mine, Nick Cardy was/is a very underrated artist/illustrator. I still don't think he gets the props and credit he so richly deserves for those very experimental covers he did on TT and Aquaman as you pointed out back in the late 60's-early 70's. At least we still have many, many examples of his artwork and the influence he left on many past, current, and hopefully future artists. Indeed, a sad day - not just for his family but for most comicbook fans in general. Nick wasn't just a comic-book artist but an illustrator, full stop. For most people I should imagine it was his covers that resonate the longest; they literally drew you in. Two covers that marked my comic buying childhood for me were Teen Titans covers - one had the group lying on a heath, another had Lillith lying unconscious with groups of thugs either side, and the Titans threatened with walking thru the line, rather distinct for me as we had a childhood game here in England called ominously 'tunnel of death' which looked similar. It was the emotional heft he brought to his work which was so beguiling, very often with the stick-shift of different writers holding court at DC in the late 60s early 70s, it was Cardy's charged and preternatural maturity to his craft that demanded attention. You knew you were getting something special with him. He was not just a comic artist, he was an ILLUSTRATOR, that was the magic of him. Like King Kirby he could transcend the mundanity of what some would wrongly consider 'kiddie' work. Aquaman no 45. Aquaman 'wanted dead or alive' lying on a beach. A professional illustrator before it was even coined for those of his craft, he began his career alongside George Tuska at the Eisner and Iger studio, which nurtured such talent. Nick did have the artist style grounded in the magazine pulp style of the first half of the 20th century, giving his figures that relevancy, that realism not found in superhero comics. It had the warmth of John Romita and clarity of Curt Swan. Finally opting to focus on the more lucrative and less onerous realm of commercial art, he left DC in mid 1974. So successful was he at DC, that when he left, according to the British 'Fantasy Advertiser' , it took DC a team of five others to replace him! Nick Cardy; The Artist at War by Nick Cardy and Renee Witterstaetter, Titan books [rather appropriate by Titan, really]. 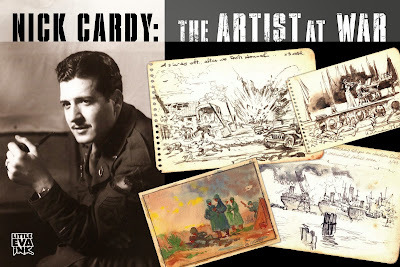 And may I add he was so much more than just an illustrator - Nick Cardy fought in World War 2 from '43 to '45, earning two purple hearts for wounds suffered as a tank driver with the armoured cavalry. He began with the 44th Infantry Division, even winning a compettion to design their famous black panther logo patch. Donna gets her official RED Wonder Girl costume! Thanks guys for sharing your thoughts on Nick Cardy - truly a talented dude that is for sure, and an inspirational one to boot. Hopefully DC does a decent memorial in their books in the coming weeks as well, considering how tied he is to their past. Oddly enough Karl it is the cover to #26 I was going to use for this post. It seemed most fitting, but the Robin one just won out in the end. I'm impressed you managed to choose one, I'm sure I couldn't have. There are too many, as karl pointed out, that pulled you into the comic world and made it better. There are many good artists, but there are few that make a mark so indelible on the world of comics that you can instantly call them to mind and say "They're the reason I bought that book." Cardy was one of the best of the best. RIP, sir. You've earned it. Thanks Random - I'm plagued that way - I always have a favourite anything. Even if I try not too. My top Cardy work is an Aquaman cover of Black Manta standing on a coral made Aquaman word, holding the hero above his head. I have it blown up on one of my scrapbook covers and it looks pretty sweet. There's one copy of the Nick Cardy, artist at war in our library system. As soon as the last dude turns it in I'm ordering it. Our library is where I hired it from too Random. To think those artworks survived being walked around Europe during those times just made them more amazing to view. So cool during all that horror one man can still stop and see the art in the world around him.